ECOMEGA M4DT have been designed for rigid dumper applications. 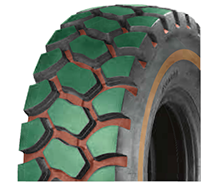 The deep tread assures an exceptional tread wear. 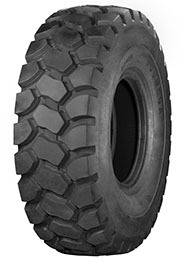 The non-directional tread design provides good fare and aft traction. Excellent lateral and side traction performance. The strong and reinforced sidewalls resist cuts and snags. Best traction in the most severe operating conditions. Special compound for a longer tyre life, cut and heat resistance compound available on request. Improved square shoulder for a larger footprint on the ground.